Relative Harmony's feel good folk songs bring out the toe-tapping, voice-raising, joyously smiling 'folkie' in everyone. 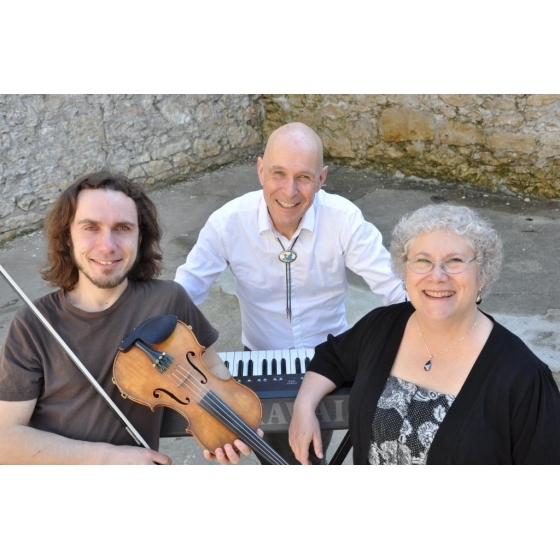 Rick Avery and Judy Greenhill, backbones of the children's folk music scene for decades, formed the band with their son Jonathan, and the result is pure musical jubilation. It has a strong traditional anglo/american, celtic influence, and features fiddle, piano, guitar, banjo and percussion. their vocal harmonies are uplifting and contagious, and it's a good thing, too, because they revel in audience participation. On top of all that they play for contra and barn dances, with Judy calling.